Camping alone isn’t always the most comfortable or convenient thing to do, but it’ll make bowhunting season easier for you. I went on my first overnight scouting trip shortly after The Blair Witch Project was released. I was 19 and bulletproof, but even I had qualms about sleeping alone in the middle of some no-name patch of wilderness. But I survived, and I’ve since spent a number of backcountry nights staring up at a sky dotted with stars and traveling satellites. Though they’re still a tad uncomfortable, overnight solo scouting missions have become an integral part of my off-season training program. Just as signing up for a race or other fitness event gives you a concrete goal to work toward, planning a scouting mission gives you something into which to channel your focus – especially on those days when you just want to give your workout plan the middle finger. This overnight scouting sojourn may include camping out in a vast BLM section dotted with sage and squatty pinion or in the middle of a thick 240,000-acre national forest. It doesn’t matter. Pick a destination you will be hunting this fall and plan a scouting foray. Get out the maps, visit state game and fish sites, surf Google Earth to find trail access sites and mark your “get-to” travel points. This is a great way to scout from afar and familiarize yourself with an area without leaving home. Next, set a date. Nothing gives a trip validity quite like writing it down on the calendar. It becomes real, and you can start preparing for it both mentally and physically. No, this isn’t your traditional run 10 miles, do interval training or implement CrossFit post. However, this trip, if planned correctly, will fit perfectly into your off-season hunt training. 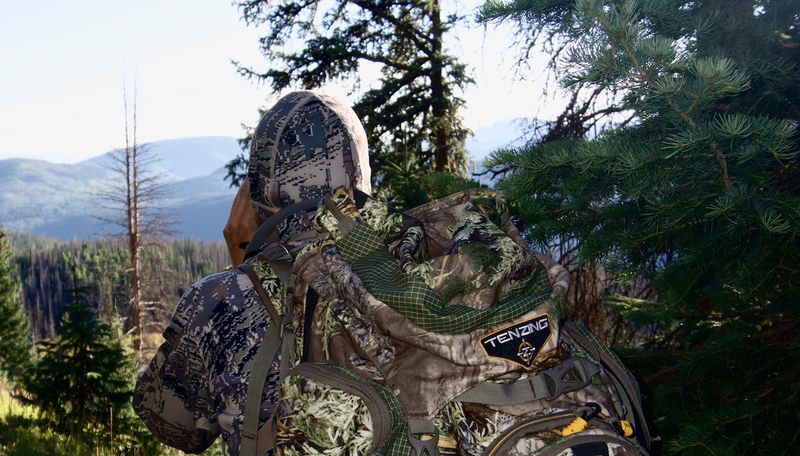 You will be walking rugged miles (I typically plan for 10 mountain miles a day) with a hefty pack on your back, all while getting a boots-on-the-ground look at your hunting grounds. Could it be any better? You will get to evaluate how your training has prepared you for your upcoming hunt goals. If you’ve been grinding hard, you’ll likely be very pleased with your performance. You will also get a chance to test many pieces of your backcountry gear arsenal. Yes, you can go on your scouting trip with another person, but I prefer to go alone. First, I don’t want anyone holding me back. I’ve put in the work, and this trip has a purpose. I will have set goals for the trip and want to make sure those goals are achieved. I don’t want to have to justify my travel routes, planned sweat equity or anything else to another person. Second, scouting and camping by myself, no matter how many times I do it, gives me an indescribable sense of confidence. I leave feeling like I can conquer any obstacle. I carry that attitude back home, implementing it into the final weeks of my training before hunting season. I realize hiking and camping in remote country alone can be dangerous. I don’t want to put anyone in harm’s way. To be totally honest, sleeping alone in the dark in the middle of the wilderness is about as safe as it gets – it’s traversing the rugged terrain that gets sketchy. You want to be able to check in with loved ones and summon emergency help if needed. That’s why I carry my iPhone (great for when there is cell service), the SPOT GEN3 and Garmin’s Rino 750 GPS. The SPOT GEN3 is a small, lightweight device that provides critical, life-saving communication beyond the boundaries of cell service. The S.O.S. button, when pushed, sends your exact GPS coordinates and information to local response teams. The Check-In button allows you to let family and friends know you’re OK. A message is sent via email or SMS to up to 10 pre-determined contacts that shows your exact check-in locale. I use the Garmin Rino 750 for marking waypoints and traveling to and from specific destinations, but my plan also allows me to send my wife text messages when cell service isn’t an option.